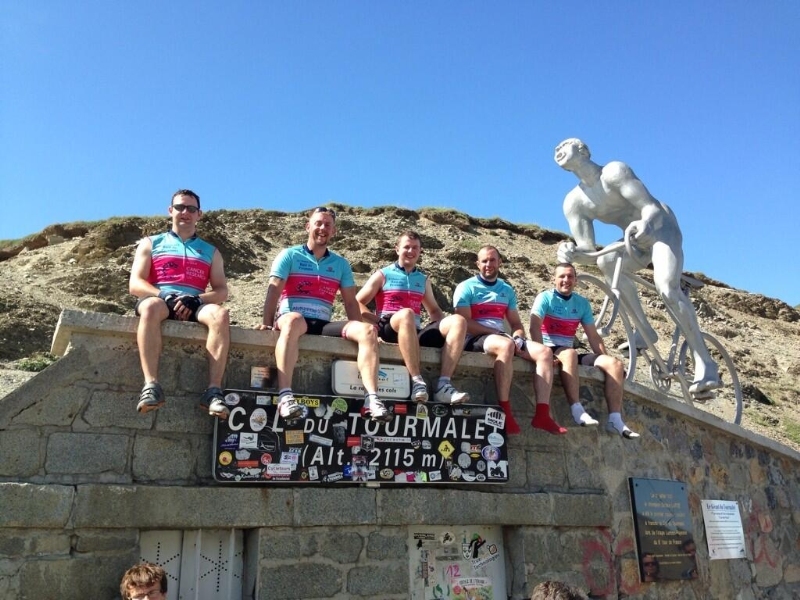 On 3rd August, Dine Contract Catering's Managing Director, Ian Cartwright undertook ‘The Raid Pyreneen’ to raise money for Cancer Research UK in memory of his Grandfather. The challenge is a tough cycle ride against the clock that crosses the length of the Pyrenees, covering 720km over 18 mountains through an ascent of 11,000 metres. To meet the criteria the ride needs to be finished in 100 consecutive hours – only 300 riders complete it per year. Ian and his team, made up of his four cousins, and with his father Jim and two of his uncles as the support crew, completed the gruelling journey in 84 hours and 20 minutes. After four solid days of riding over some very rough terrain, they reached the finish at the Mediterranean village of Cebere. The team made sure they celebrated in style, as they had not only completed the personal physical challenge – but they had also managed to raise over £4,000 for Cancer Research UK. Thanks to all for the support and sponsorship – this made it all worthwhile.